Two models of KK spikes are available. 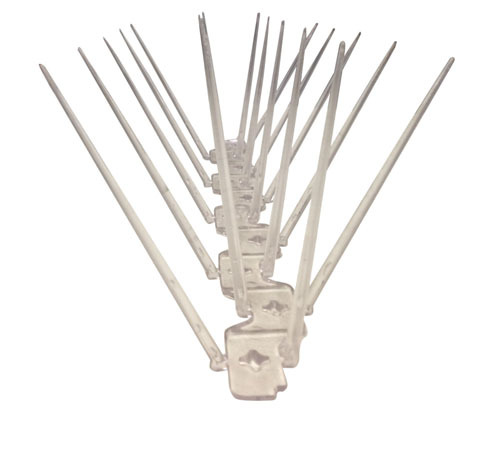 The first model consists of stainless steel spikes attached to a polycarbonate base and the second model is an "all" polycarbonate spike. 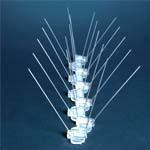 KK spikes are also easy to install with just glue and/or screws. 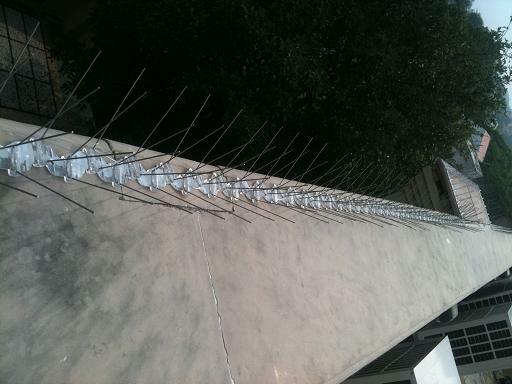 INSTALLED 12750 RUNNING METERS OF BIRD SPIKES AS OF APRIL 2016! 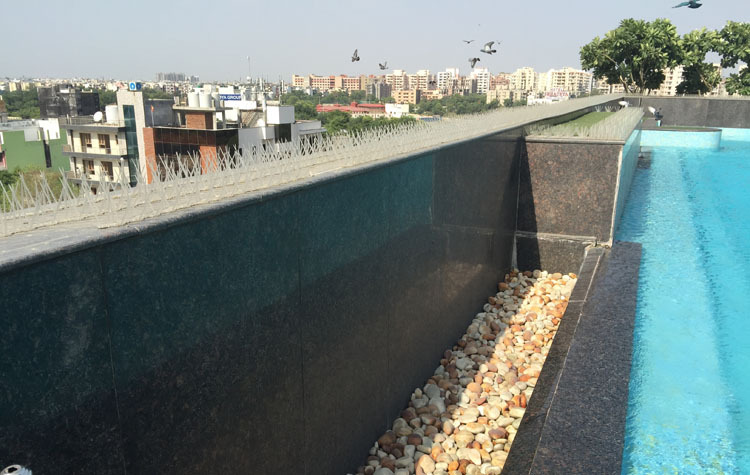 May 2015: HOTEL - We supplied 400 running ft of our polycarbonate bird spikes to a 5 star hotel situated in New Delhi. 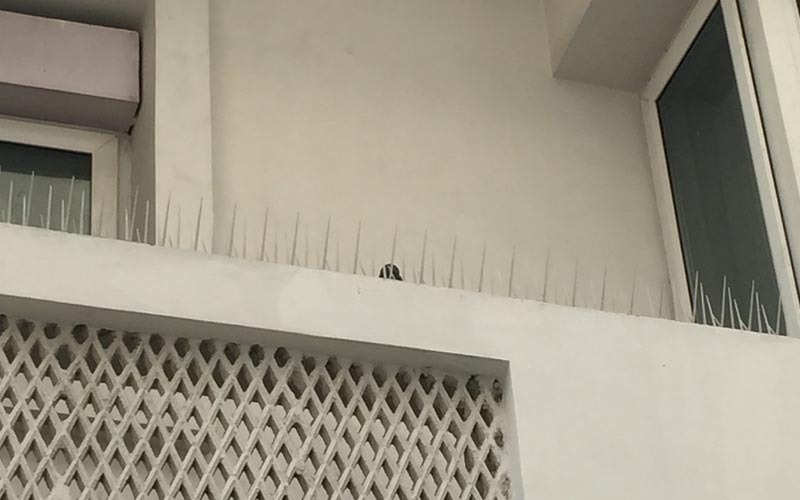 The bird spikes were installed to prevent birds from sitting on a wall around a rooftop pool. 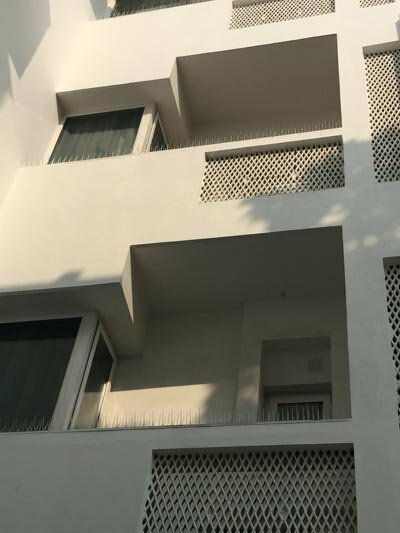 Nov 2014: HOTEL - We supplied 100 running ft of bird spikes to a boutique hotel situated in New Delhi. 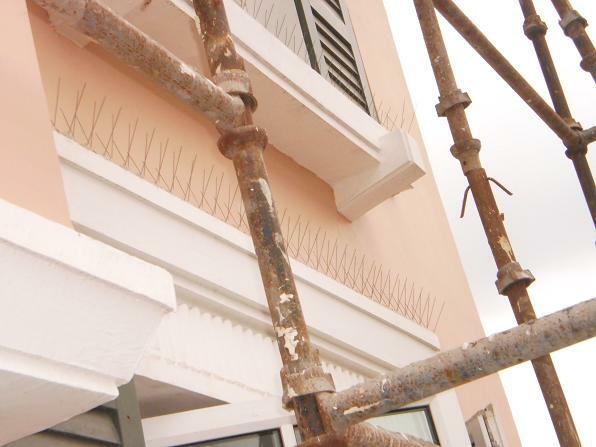 Mar 2013: HOTEL - We supplied 540 running ft of bird spikes to a leading 5 star hotel situated in Bhubneshwar. 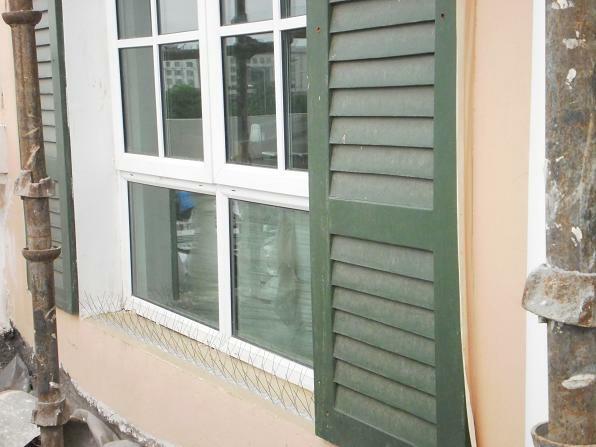 Jan 2013: HOTEL - We supplied 54 running ft of bird spikes to a leading 5 star hotel situated in Goa. 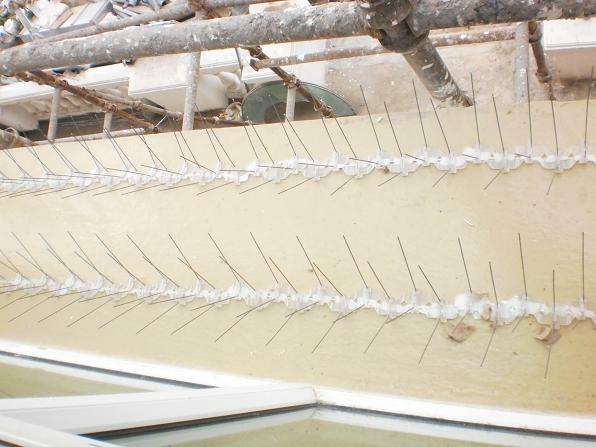 Oct 2012: RETAIL - We supplied 430 running ft of bird spikes to a furniture retail Showroom situated in Banglore. Oct 2012: SOLAR POWER - We supplied 975 running ft of bird spikes to a solar power EPC contractor for their project in Southern India. 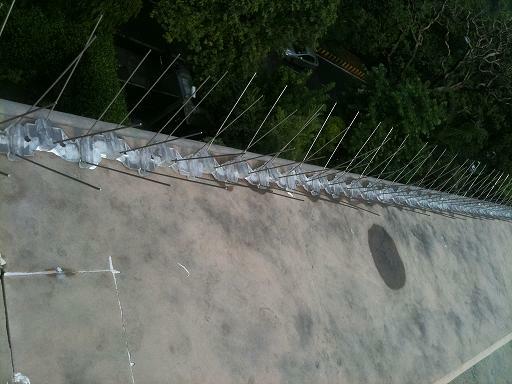 June 2012: RESTAURANT/BAR - We supplied 150 running ft of bird spikes to a restaurant situated in Banglore. 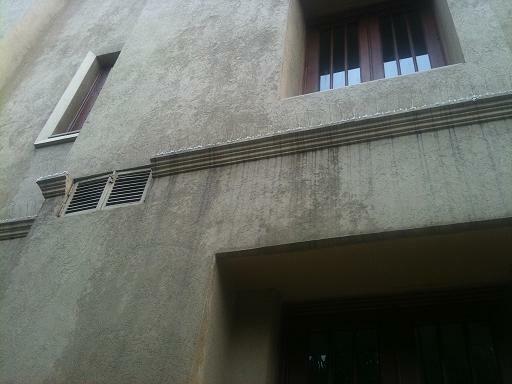 June,July 2012: RESIDENTIAL MULTISTORY - A multistory apartment complex situated in Gurgaon was troubled by pigeons sitting in the atrium area and causing a maintenance nightmare. We supplied our spikes to solve the problem. 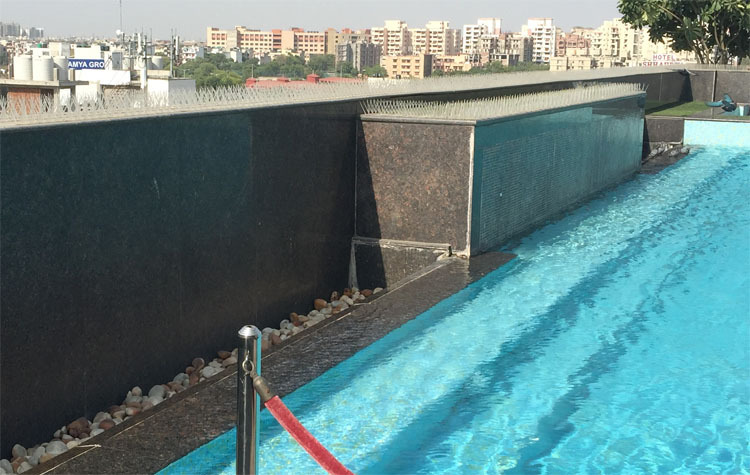 June 2012: HOTEL - A newly constructed 5 star hotel located in New Delhi was facing a problem with pigeons roosting next to a swimming pool. 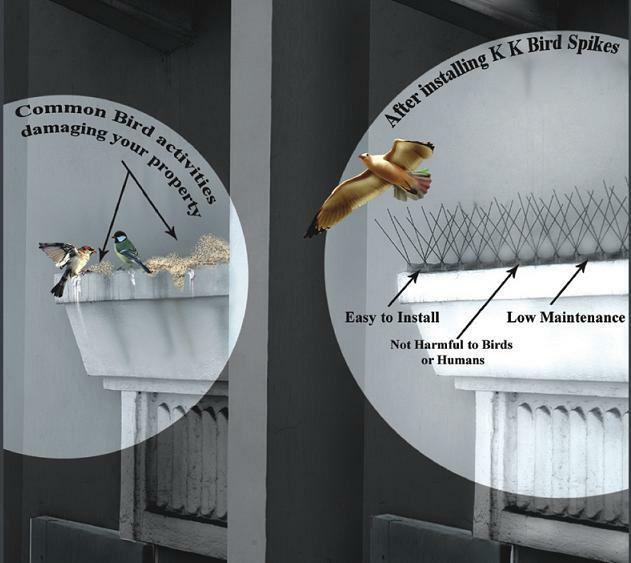 We supplied and installed our bird spikes over an approximate length of 300 running feet to solve the problem. 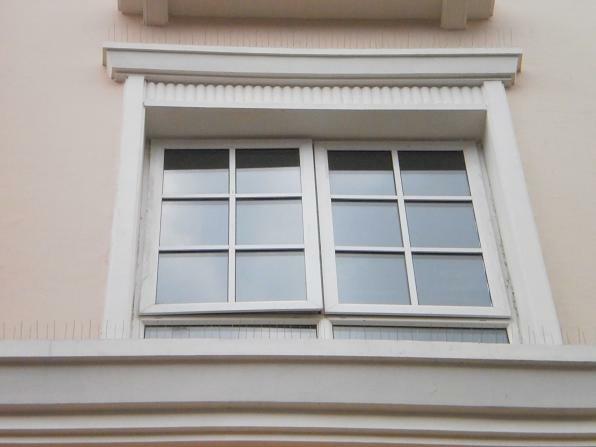 Sept 2011: FACTORY - A pharmaceutical factory based near Hydrabad wanted a solution to reduce/remove nuisance caused by pigeons within the manufacturing area. 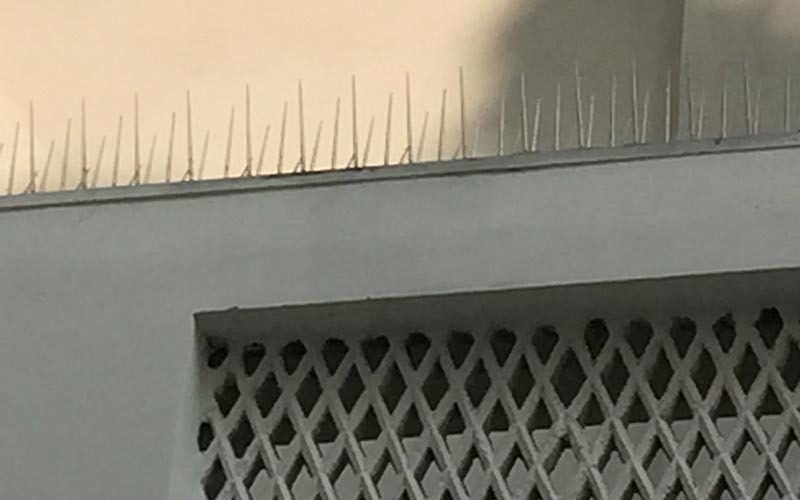 We supplied our spikes for preventing pigeons from roosting on the process equipment. 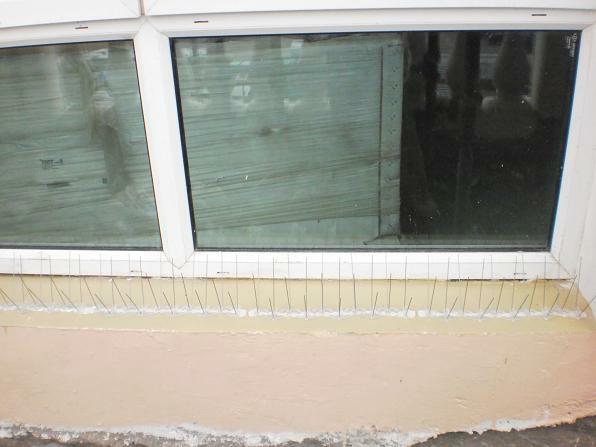 The total length was approx 300 running ft.
June 2011: HOTEL - A newly constructed luxury hotel in NCR required a product to deter pigeons from siting on window ledges and other areas. We installed our spikes over an approximate length of 1000 ft.
On all types of surfaces, e.g., window sills, air conditioners, security cameras, solar panels, I-beams, satellite dish, post/poles, etc.